The Beatles have always been stalwarts when it comes to how their music is available for purchase, and they can afford to be, because they are still the top selling artists in the U.S. by a lot, according to the Recording Industry Association of America. But just as mp3s replaced CD's, streaming music has replaced mp3s, so The Beatles have finally gotten on board, buying a ticket to ride with nine streaming services starting Christmas Eve. At 12:01 AM on December 24, you'll be able to go to pretty much any streaming service that you subscribe to - Apple Music,Tidal, Deezer, Google Play, Microsoft Groove, Amazon Prime, Rhapsody, Spotify and Slacker - and listen to classics like Help! or Hey Jude. It's a huge surprise coming from this particular group, even though it's not surprising news in the grand scheme of trends sweeping the music industry. The Beatles relied upon sales from physical record copies until 2010, when they released their 13 remastered albums for download on iTunes. Ringo Starr said at the time, “I am particularly glad to no longer be asked when the Beatles are coming to iTunes." The sheer variety of streaming services The Beatles licensed their songs to is one of the most surprising parts of this deal; other big artists like Prince, who has a deal with Tidal, and Taylor Swift, who has one with Apple Music, opted to stream with just one service, presumably due to the bigger cash hauls that come with exclusivity. For smaller, independent musical groups, streaming has come under fire for giving musicians incredibly small royalty payments per stream. For example, in December 2014, an artist received a paltry $0.0061296 per stream on Spotify, a number calculated by dividing the premium subscription money Spotify received by the number of artists and streams. When Apple Music debuted in June with a free three-month trial for any subscriber, Taylor Swift wrote an open letter to the company on Tumblr, saying, "Apple Music will not be paying writers, producers, or artists for those three months. I find it to be shocking, disappointing, and completely unlike this historically progressive and generous company." Apple Music responded by saying it would pay artists during that time. Taylor Swift got paid for streaming, and now The Beatles are, too. It will be interesting to see what happens next. 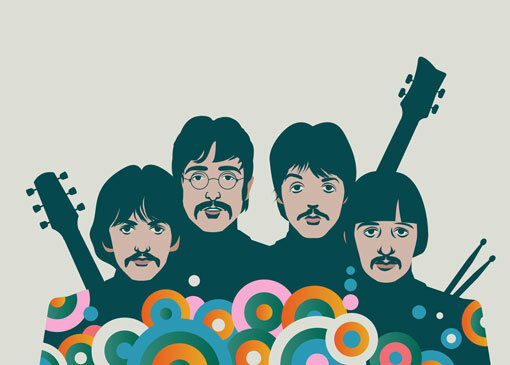 In the meantime, choose the streaming service you want to listen to the Fab Four on here.